More Sparkle! More Style! More Compliments! High end Jewelry. Low end prices! 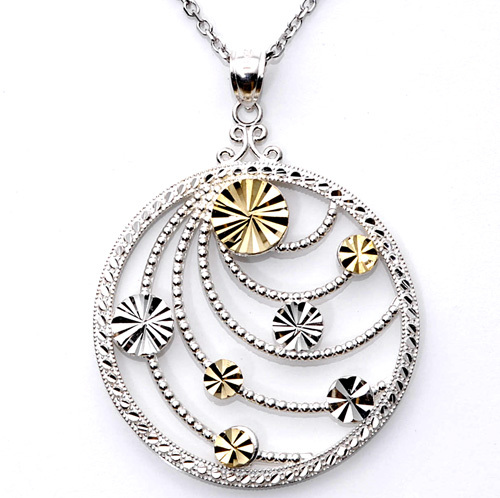 Bold & beautiful diamond cut 14k yellow gold & sterling silver medallion necklace, with an 18" cable chain.